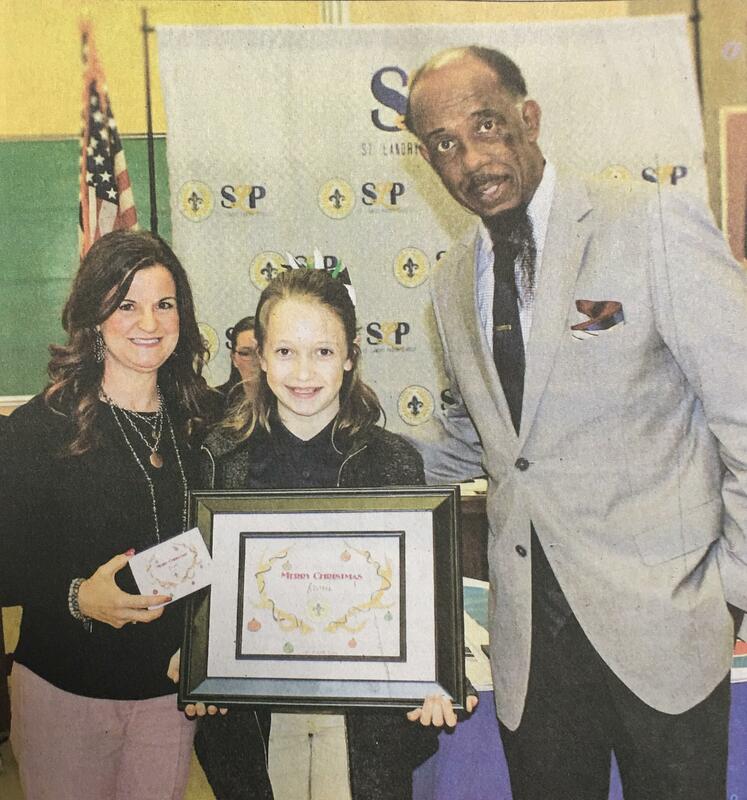 Adria G., center, a student at Central Middle School, won the St. Landry Parish School Board's Christmas card contest. The district’s Christmas cards featured her artwork. With her, from left, are Tricia Fontenot, School Board social media manager; and Albert Hayes Jr., School Board member from Eunice.